US Open - live stream, odds, results, stats and fixtures! US Open 2019 will be the 139th annual tournament. As usual it will be held at the Billie Jean National Tennis Center in New York, this time between August 26th and September 8th. US Open is the American tennis championship that is one of the four annual Grand Slam tournaments, along with Wimbledon, Australian Open and French Open. The tournament is played during August/September, and is the final Grand Slam tournament each year. The US Open includes five separate tournaments – the men’s single, the women’s single, double for both men and women, as well as one mixed tournament. The mixed tournament is played as a double with one man and one woman in each team. Who will win according to the US Open odds? With a long way to go until the 2019 US Open, the odds tend to be pretty even. Early odds are available, and although they will most likely change a lot as the tournament comes closer – they’ll give you an idea of which players will be in the top battle! Here at Odds Expert you will find everything you need to know about the 2019 US Open. This includes schedule, dates and times for all the matches. On the site you’ll also find statistics from previous matches, which will help you place qualified bets on upcoming matches! 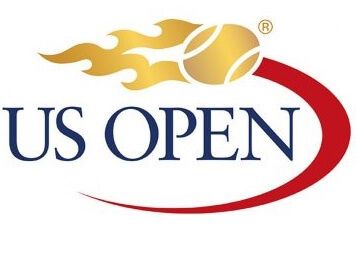 The 2019 US Open will begin on August 26th, with men’s and women’s R1. The semifinals will be played on September 5th and 6th, and the finals on the 7th and 8th. You will be able to watch the US Open 2018 through online live stream. Bet365 and Unibet are two of the betting companies that will be streaming. In order to watch the US Open live stream, you need to have an account at a betting site. You will also need to have a positive bank balance to your account, and then you can watch how many hours of US Open as you want. US Open is the modern version of what was earlier known as US National Championship. The Open era started in 1968, where Arthur Ashe became the first champion. During the Open era, there are three players that share the title of most championship wins. These players are Jimmy Connors, Pete Sampras and Roger Federer – who all have won the US Open five times. On the women’s side, Virginia Wade became the first champion back in 1968. In the Open era there are two players that share the record of most titles – Serena Williams and Chris Evert who both has won six times each.